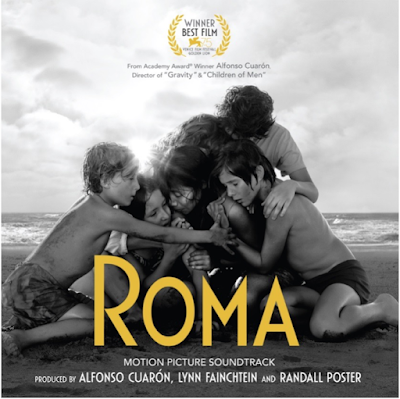 Sony Music, Netflix, Participant Media, and Esperanto Filmoj present the Motion Picture Soundtrack of "ROMA," which is available through all digital platforms since December 14, on the day that the film premieres on Netflix. Curated by the director Alfonso Cuarón and the soundtrack producers Lynn Fainchtein and Randall Poster, the soundtrack of "ROMA" brings us back to the sonic Mexico of the 1970s, when the famous XEW, a reference of Mexican radio, transmitted English pop and rock, while gradually introducing the new Mexican pop, through performers like José José, Juan Gabriel and Rigo Tovar, musical icons that in the present, have remained as references of Mexican and Latin American music. The music of "ROMA" portrays the musical diversity of those years, from rock as the nascent symbol of the counterculture, to a few months of the Avándaro Festival, to the tropical rhythms and pop that marked the decade. This emotional musical compilation narrates in itself many stories of the Mexico of those years, immersed in sociopolitical and cultural transitions that seem to oscillate between the impetus of change and resistance to it. That is why "ROMA" is the portrait of the great mosaic of sounds that face and complement each other in a clash between the past and the possibility of a future; between the world and Mexico and among the many Mexicos that the film shows us. "ROMA," is the most recent production by Alfonso Cuarón and the first Mexican film to win the "Golden Lion" as best film at the Venice International Film Festival; considered by critics around the world as one of the best movies of 2018 and of recent years.